I’ve received some interesting questions lately, so I decided to write another Q and A post. This post is answers to questions I’ve received via email, or have answered in forums. I’ve expanded on the answers below. Read the first Q and A. Have a question? Contact me. I’m happy to help. Q: What metadata should I choose for my sound files? What fields are most helpful to my Web shop partners? A: Each Web shop’s needs are different. To find out what’s best, begin by asking the shop for a template of their import file as a guide. An import file is a spreadsheet which integrates your library into a Web shop’s database. The import file will tell you which fields they need completed: Description field, short TrackTitle, Category, SubCategory or others. Some Web shops don’t use import files. Instead, you add files by navigating private pages in a browser like Safari or Chrome. Get a feel for what they need by visiting these pages. A Web shop’s Category and Subcategory system is what varies the most. 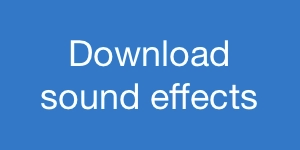 Sadly, there’s no standard for sound effects Categories. Some may use the category “Transportation.” Others may use “Vehicle” instead. I suggest picking one method and sticking with it. Building a consistent pattern of Categories and Subcategories is the first big step. It’s easy to tweak them to fit with new Web shops you join. Here’s a link to a spreadsheet of the categories I use at airbornesound.com. The categories are rigid. I expand the subcategories as I add new effects. You’re welcome to use the list (non-commercial only, please). You can download it directly from Google Docs if you like. In other words, since every Web shop is different you can expect that you’ll need to twist whatever metadata you have to fit a shop’s requirements. The good news is that this task is far easier if you have ample metadata already. Description. This is expanded details. List changes to the sound over time, details, etc. TrackTitle. A concise version of Description. If you have these fields you’ll have no problem adapting them to any Web shop’s needs. Note: Be aware that some music-based Web shops have odd categories that don’t fit well with sound effects (i.e., tempo, genre). Q. Can I sell or record copyrighted sounds? Copyright is a awkward subject. Just the same it’s important for field recordists and sound designers to know their way around the concept. I hope the following ideas will help you. A: Can you sell or record copyrighted sounds? The short answer is no. If someone owns the intellectual property to a sound you cannot claim ownership yourself. You can’t use it without permission, or resell it. 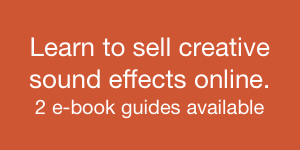 For example, you cannot buy a sound effect from a commercial library and sell it on your own website. It becomes murky when considering trademark sounds or brand names. These questions are best answered by a lawyer, but in the meantime I’ll share some thoughts you can consider. A common question revolves around recording ring tones. Can you record an iPhone ringtone and sell it as your own? Apple would argue those ring tones are a distinctive characteristic of their phone. If you’re familiar with the sound of iPhone ringtones you’ve already proven this distinctiveness yourself. The sound is part of the phone’s appeal. It was designed by their staff and they own those sounds. There’s a reason why competing mobile phones aren’t using the same sounds. It’s the same for field recordings of ambient music, buskers, video game sounds and so on. 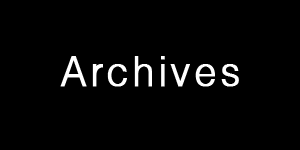 Another perspective considers these sound recordings of as fair use. Unfortunately fair use only covers commentary, criticism, news reporting, research, teaching, library archiving and scholarship. This question (thanks, Jeff!) was a good reminder. It’s important for field recordists to be aware of what they’re recording and how they publish it. Copyright is a sticky topic. 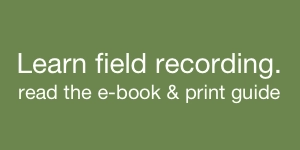 Because field recordists capture broad swaths of audio they may inadavertently gather copyrighted sounds in their net. Also, it’s natural to want to help others by adding trademarked details to sound effect descriptions. This becomes complicated when those sounds are offered for sale. Tread carefully. Consult a lawyer to see what you are allowed in your state, province or nation. If you’re interested learning more about copyright and sound fx head over to the Airborne Sound blog. I’ve started a series examing how copyright works in the world of sound effects. Thanks again for everyone’s questions, comments, Tweets and reTweets!